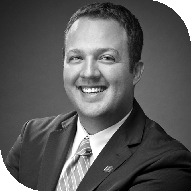 Serving the South Elgin area, Justin provides the personalized investment guidance you need to help make your financial goals a reality. Using a personalized, one-on-one approach, Justin works closely with you to develop an investment plan that works for your unique objectives. My wife and I have been happily married for over 10 years, and we currently reside with our 4 children in Saint Charles, IL. When I'm not busy helping my clients, you can usually find me out in the backyard playing with my kids, on the golf course, or enjoying a good cigar with friends. I have been in the Financial Services Industry since 2004, and I joined Fifth Third Securities in 2006.